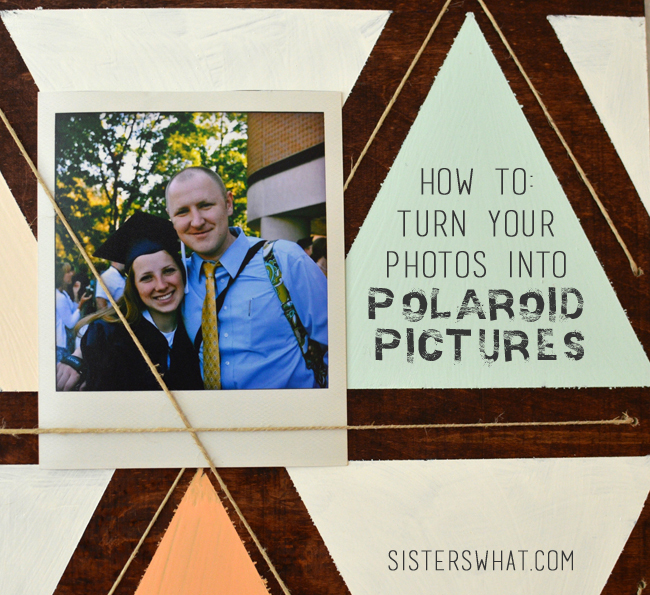 ' Turn Your Photos into Polaroid Pictures - Sisters, What! In case you were wondering, that guy is El Guapo, my brother. You can read his awesome book blog HERE or political blog HERE. I thought I'd do a follow up to my Triangle Memo Board with a recap post about turning your photos into polaroids pictures without a polaroid camera. I still fondly remember wanting a polaroid camera really bad when I was younger. 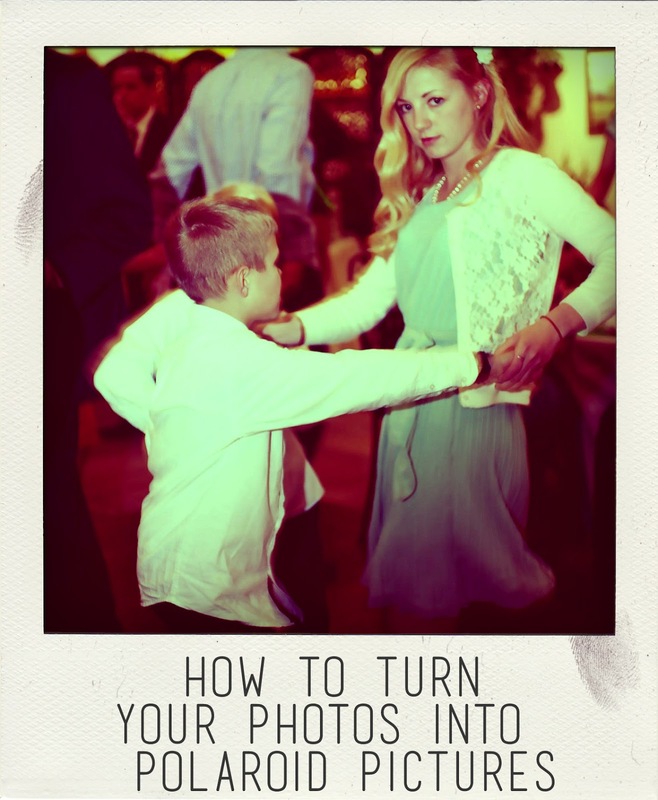 I was so entranced with the instant photo gratification. With today's amazing digital technology, polaroid cameras really are obsolete. But what I still remember that was special about polaroids was that you took the picture hoping it was a good one, but what came out of the camera was instant and final; no deleting and redoing. To me, I feel like we've lost a bit of magic when digital came to be. Film photography there were no redos if you didn't like the picture. And all pictures were printed no matter what. Anyway, enough nostalgia, let's make some polaroids pictures! 1. 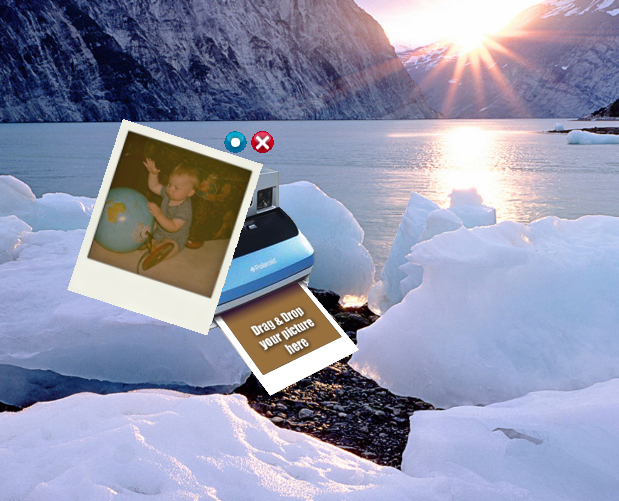 Download the polaroid program HERE for free. 2. Once downloaded, open up. It will look like a Polaroid camera. All you have to do is drag with your mouse a photo from your library and drop it on the film coming out of the Polaroid camera. To Change Settings: click the blue and white circle - you can make the photo more vintage or less vintage (I usually opt for the less vintage option). 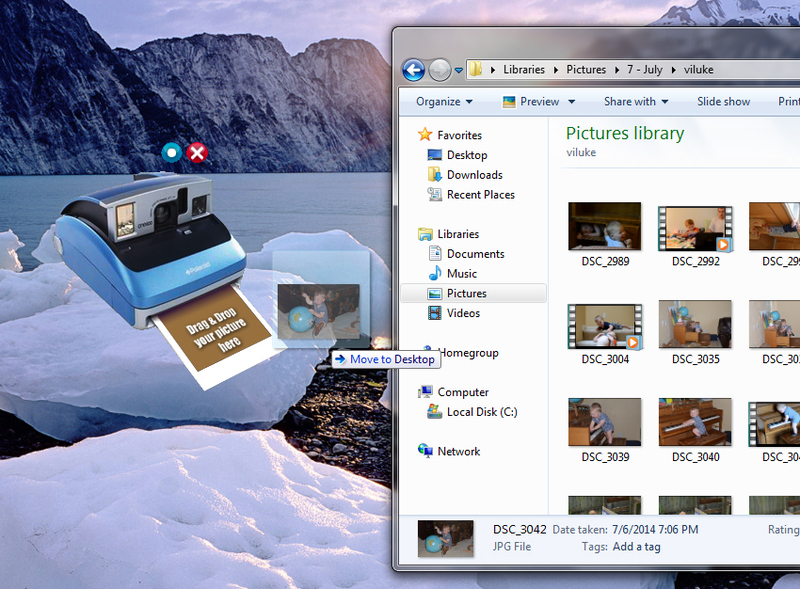 You can also change where your photos will be saved after they are done developing. Then just wait for it to "develop". A red ribbon will appear on the photo when done. 3. 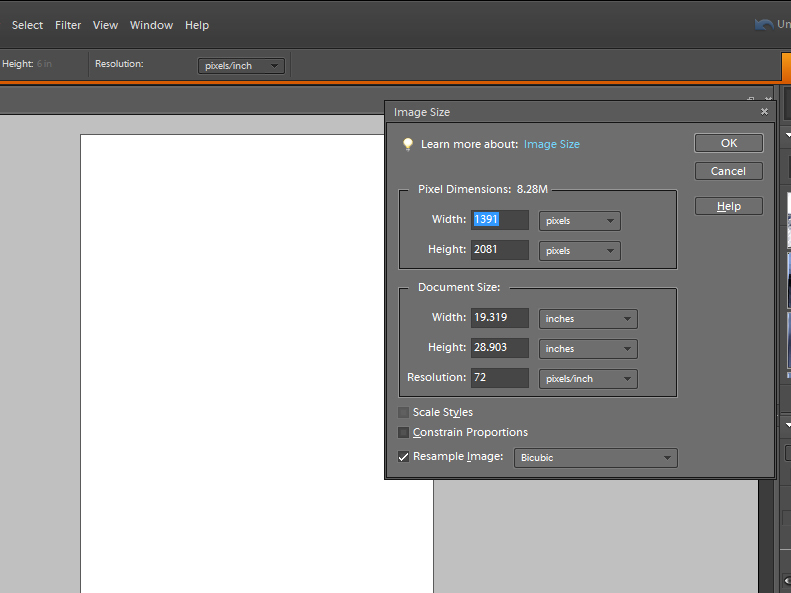 Now open your photo editing program and open a new document with these dimensions: Width - 1391 and Height - 2081 Resolution - 72. Then open your polaroid and copy and paste into the blank document. Save it and you can now print it as a 4x6. After you print it, just cut off the excess on the bottom of the photo. to watch the "develope" right there. Might have to check this program out. You definitely should, it is so easy and fun! So cute, Havalah. I remember you having these strung up above your kitchen table. Love it.